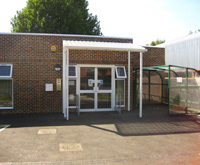 Church Road Children's Centre in Mitcham offers services for parents and carers from pregnancy through to the end of their child's reception year at school. Tube: Colliers Wood then Mitcham bound 200 to Mount Road. Bus: 200 from Raynes Park and Wimbledon or Mitcham nearest stop Mount Road. Tram: Phipps Bridge then Raynes Park bound 200. Rail: Mitcham Eastfields then New Malden bound 152 to Lavender Avenue stop, walk down Mount Road and turn left.